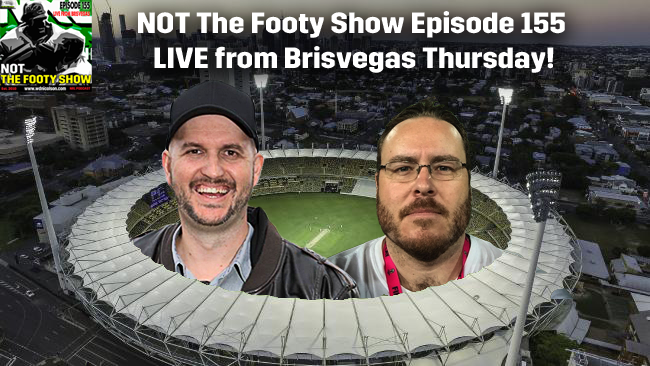 NOT The Footy Show heads to Brisbane! Two years ago NTFS recorded Episode 152 in the palatial lounge room of the Duncan residence in Redcliffe - recapping the 2014 NRL Season. 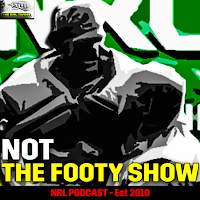 The results were joe average as always but there's only been two episodes recorded in the time since that show, and it appears the stars have aligned to allow Matthew Duncan and Warrick Nicolson to reunite for another NRL Podcast this Thursday in Brisbane. The pair are heading to the Australia v Pakistan Test Match at the Gabba so we will be taking advantage of the catchup and will be going live on our Facebook Page during Day 1 of the Test. We will be talking footy as always but are happy to answer any of your questions. Simply post them to our FB page or Tweet us @NRLTweet and we'll answer all of them (even if there are none). And if you'll be at the Test - send us a note and we'll catch up!